Nordic Tattoo: Stone age shamans from germany? Stone age shamans from germany? The "shaman" from Bad Dürrenberg, Germany. The grave is ca 9000 years old, a time capsule from the hunter and gatherer period. It contained a woman with a baby between her legs. 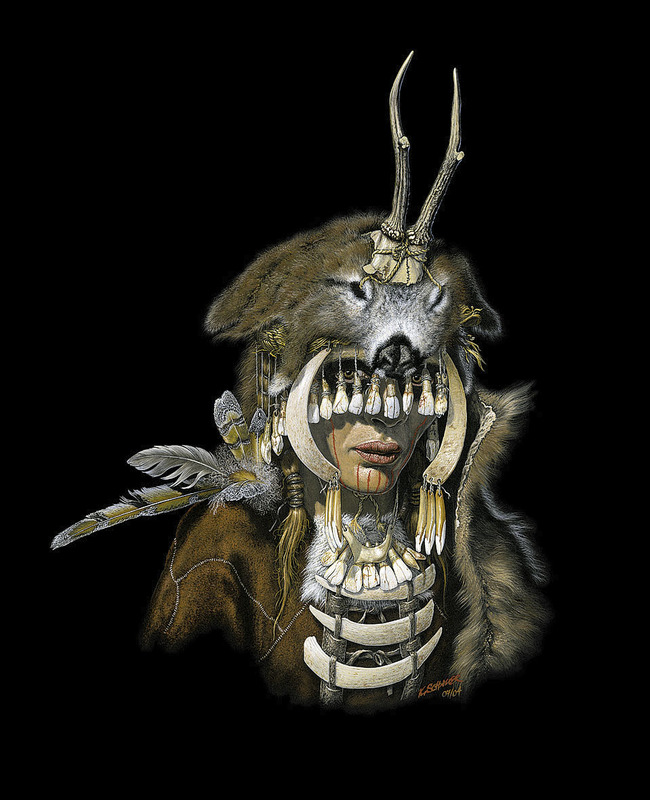 She was covered with bone, antler and teeth amulets. On her head she wore antlers like the later siberian shamans, just in her case not made from metal obviously. The eyes were covered with a row of deer teeth. The grave was filled with a still 30 cm high layer of grinded red mineral, an unbelieviable effort at the time. She had an anomaly in the neck region, that most probably made her faint when she shook her head. It is the oldest known burial on saxon ground. 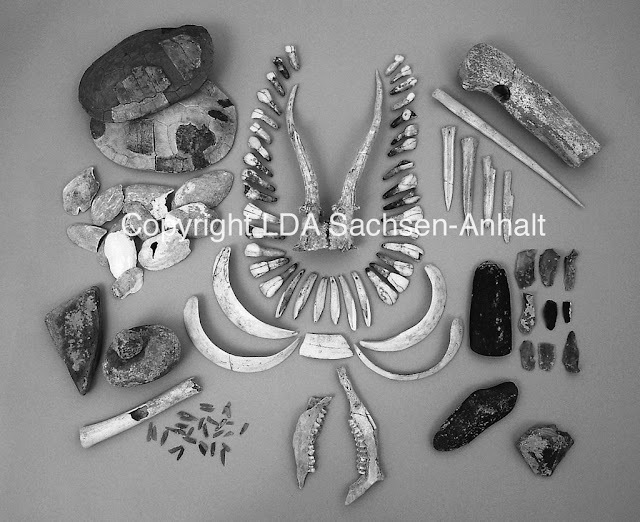 Scientists agreed right from the start, that she had "for sure an exceptional position in her tribe"
Picture source: Landesamt für Denkmalpflege Sachsen- Anhalt.